My father started saving for MY retirement as early as 12-year-old. Back then I was frustrated because it reduced my pocket-money. He ignored my whining and crying. Each month, he managed to add $30 in the saving account. When I took summer jobs, he managed to convince me to save 10% of my earnings. He was wise. I am thankful because he tought me a key money concept: Planning your for your old days at an early age is one of the best ways to save money. 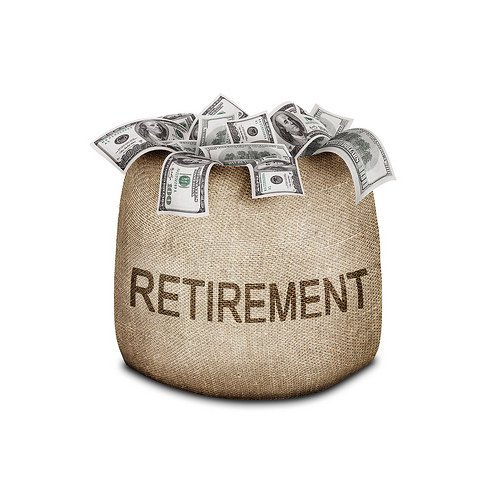 Younger generations are still unconscious in preparing their retirement. In fact, there are several people who keep on spending a lot of money not only for their daily needs but leisure as well. Imagine your life when you are already old. You will need money to pay for your groceries, health care and housing. Nowadays, aging workers are becoming a trend. The U.S. Bureau of Labor Statistics (BLS)has issued a spotlight on older workers, finding that between 1977 and 2007, employment of workers 65 and over increased 101%. . When it comes to saving money for your retirement, you have to consider several choices. The best ways to save money should not affect your daily budget and other expenses as well. Start Saving early and Stick to Your Goal – Saving doesn’t mean that you have to take a lot of money from your daily budget. The best ways to save money is through taking a small part from your income. To monitor your savings, you can create your own saving’s chart. As much as possible, don’t spend too much and learn how to become thrifty. The lesser expenses you spend, the larger money you can save. Accurate Consolidation of Accounts – Those who are conscious on their future one’s get old prefer to invest houses and other properties. Sometimes, investments are quite risky, but if you accurately choose the right transactions, you will certainly get a fruitful result. Additionally, you can also pay-off several mortgages and stop paying private mortgage insurances. Get Retirement Savings Plan – This retirement saving plan is one of the best ways to save money for your senility stage. Getting this retirement plan is extremely straight-forward. If you want to know more about this plan, you can also ask your employer. In most cases, employers always offer this type of plan for their employee’s security. Always be Wary of Depreciation – It is undeniable that a lot of people keep on buying luxury goods. There is nothing wrong about this act; however, you should always consider the depreciation of one’s item or property. Since every product or property is not constant, you have to be more conscious in purchasing any items. For assurance, instead of buying luxurious car, prefer to buy used car to save more cash. Getting the Advantage of Tax Breaks – Another best ways to save money is through contributing to Roth IRA or IRA before filing taxes every year. The government generally created these tax breaks to support people to save for their retirement. Control of too much Spending – If you really want to save money for your retirement, you have to be more aware on your daily expenses. In saving, it doesn’t mean that you will not enter to any amusement centers or other entertaining activities. You can freely do it, but with great control of spending. These are the best ways to save money for your retirement. If you want to live comfortably even if you get old, then start practicing the above tips and see how it changes your life. Have you started planning your retirement? You have a very wise father! I wish my parents had taught me about saving early on..thankfully we are on a better road now! Yes. He was wise!! I am glad you are on a better road now. Yeah we’ve started talking about saving for retirement but we’re pretty lost. These tips are great for us! I think the best way is to start putting money aside each week or month. It could be as low as $5! When you will see that it grows, you will be tempted to save more. Great info! We all need to be reminded! Thanks!